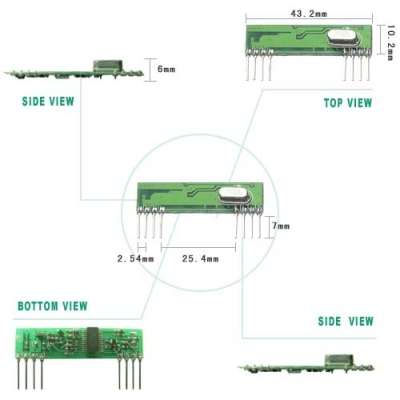 ASK RF Superheterodyne Receiver Module with Narrow Band. Good performance at high sensitivity and stable frequency. Compatible with all our AM Transmitter modules on TWS-BS/ TWS-DS/ TWS-HS Easy used with external components. Application: Wireless security systems, Car alarms, Remote gate controls, remote sensing, Date communication, Remote water/electric switch, Pager system, PDA data communicated.